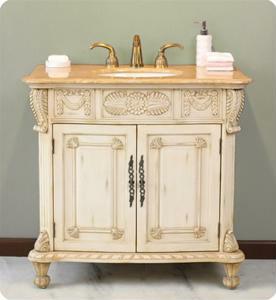 Bronze bathroom accessories, such as faucets, dials and vessel sinks, have become wildly popular in the world of interior design, but they won't work in just any bathroom. According to StarTribune.com, utilizing these accents will require a neutral color scheme that embraces elements of nature. The counter top of your bathroom vanity can make or break the look of your washroom, so opt for a darker surface such as granite or a matte hue. This will allow the color of your bronze fixtures to really pop out against the backdrop. Mosaic tile is another popular choice to pair with bronze faucets and dials, so consider flanking the area behind your vanity with a mixture of tan, brown and black tiles. You can also continue this style as a border inside of your shower or as a design that stretches around the perimeter of your washroom. Bronze fixtures are a fabulous addition to any bathroom, but you'll have to weigh your color choices carefully to pull them off. What color scheme brings out the best in your bronze fixtures?